In April 2014, Boko Haram, the self-proclaimed Islamic group in northern Nigeria, caused an international outrage. The group abducted nearly 300 school girls from a school in the northeastern town of Chibok in Borno State. The hashtag #BringBackOurGirls went viral worldwide. The Nigerian former federal minister of education, Obiageli Ezekwesili, had started the hashtag at a rally. After many Nigerians started sharing the message, the hashtag was picked up around the world and gained attention from celebrities such as Rihanna; the American first lady, Michelle Obama; and the Pakistani girls’ education activist, Malala Yousafzai. Since 2012, approximately 2,000 women and girls have been abducted in Nigeria by Boko Haram militants, according to human rights activists. Activists have said the plight of these women came to light after the Chibok girls were abducted. Malala traveled to Nigeria in July 2014, and urged the then sitting president of the country, Goodluck Jonathan, to mobilize his government and take action to rescue the girls. Mr Jonathan failed to act, and was eventually defeated in the 2015 presidential elections. Taking office from Mr Jonathan, the new president, Muhammadu Buhari, promised to free the girls and women who have been captured by the militants. It appears the new president has stayed true to his words; the recent effort by the Nigerian army is yielding some results. Over the past few months, the army has succeeded in freeing some of the girls and women from the militants. In addition, the army has also pushed the militants deep into the Sambisa Forest. The Sambisa Forest is a thick forest in northeastern Nigeria, where it is said the militants have been planning and coordinating their heinous attacks on helpless residents in the local area. 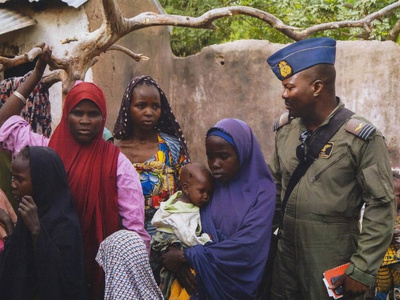 Although the army and all concerned groups in the country are helping to free all the abducted women and girls, those who have already been set free are not being welcomed back into the communities they lived in before they were abducted into the Sambisa Forest. According to a joint report released last week by the United Nations International Children’s Emergency Fund (UNICEF) and human rights group International Alert, many of the women and girls who were once held by Boko Haram are being rejected by their families and communities. The report said local residents are treating the former captives with mistrust, as they fear that they have become radicalized, and have become supporters of the militants. When Boko Haram abducted the women and the girls, they took some as wives. Some of these women and girls got pregnant by the militants. And after being freed, some have given birth. As the women are being rejected by their families and neighbors, they have been forced to settle in internally displaced camps that have been created by some humanitarians for those affected by the violence of Boko Haram. The women are said to be facing poverty, and some have taken to prostitution in order to survive. The authors of the joint report said the children of these women are at risk of rejection, abandonment, discrimination, and potential violence. International Alert’s peace-building adviser in Nigeria, Kimairis Toogood, said in a statement that all of Nigeria must make an effort to integrate these women into their communities. By creating better conditions for these girls and women, further pressing issues could potentially be avoided. 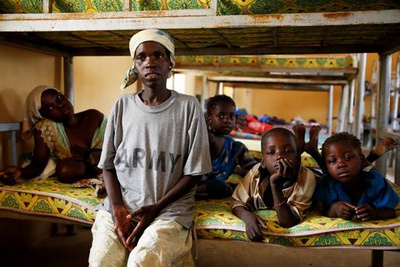 “These findings show a pressing need to do more to reintegrate those returning from captivity by Boko Haram. Many of these girls already face lasting trauma of sexual violence and being separated from their families, so we must ensure they get all the support they need when they finally return. There is a fear that if the needs of these survivors and returning populations are not met, these factors could add another dimension to an already complex conflict situation in northeast Nigeria,” Toogood wrote.